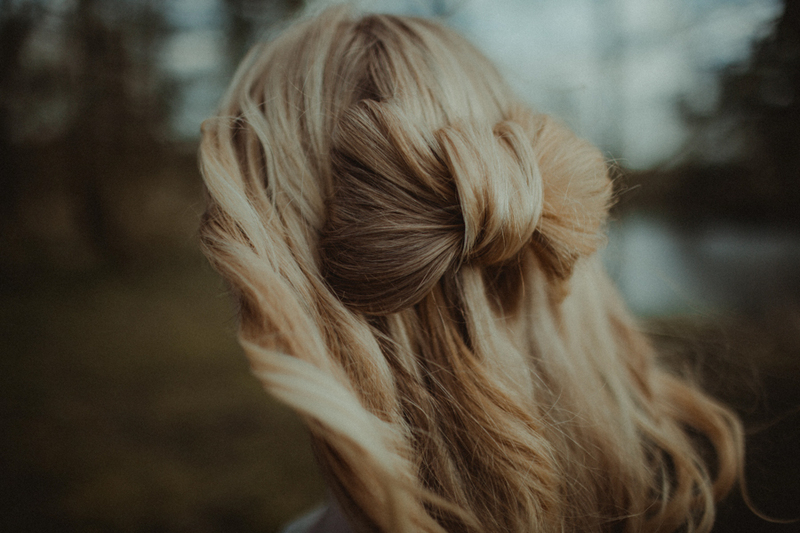 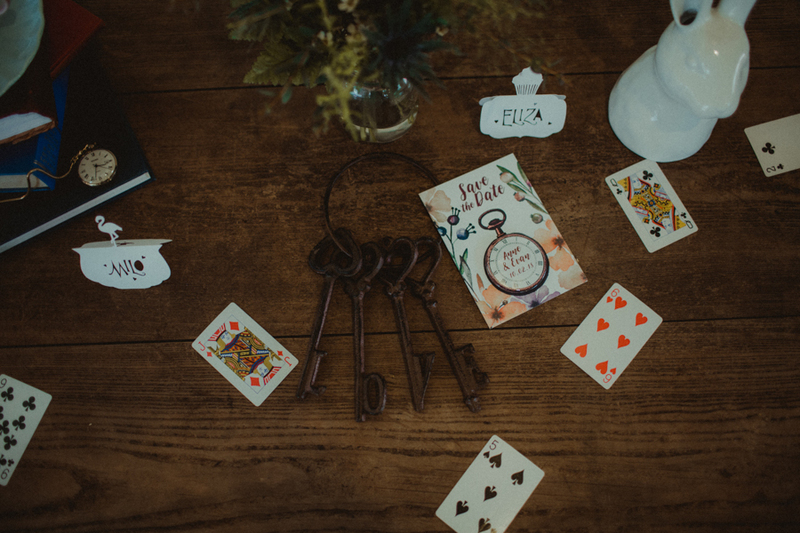 Home > Styled Inspiration > A Whimsical & Rustic, Alice in Wonderland Styled Bridal Shoot! 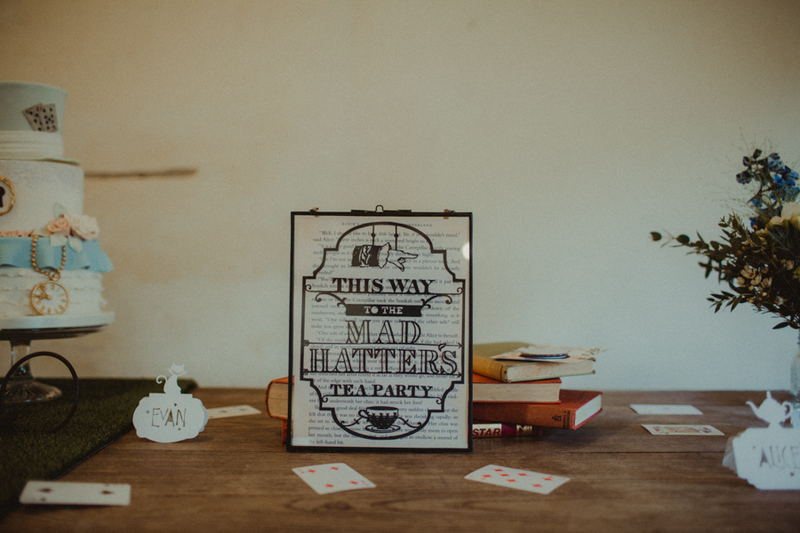 Who doesn’t love a bit of Alice in Wonderland as their inspiration for a themed wedding?! 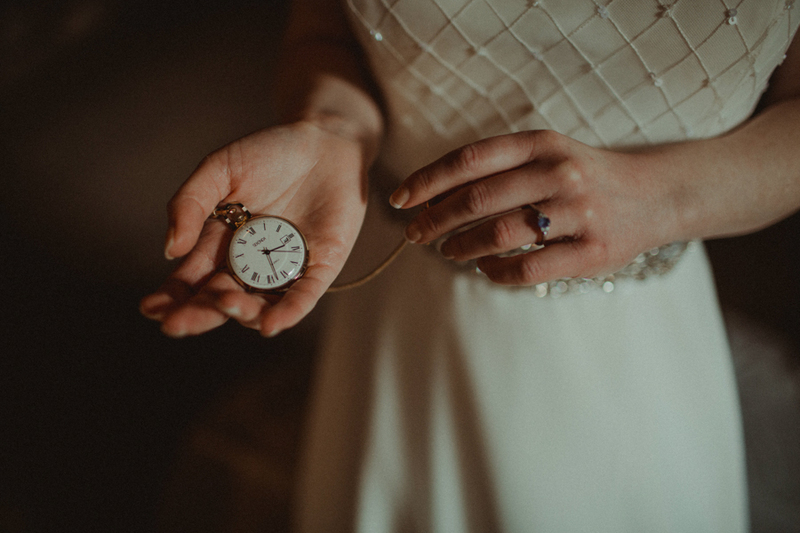 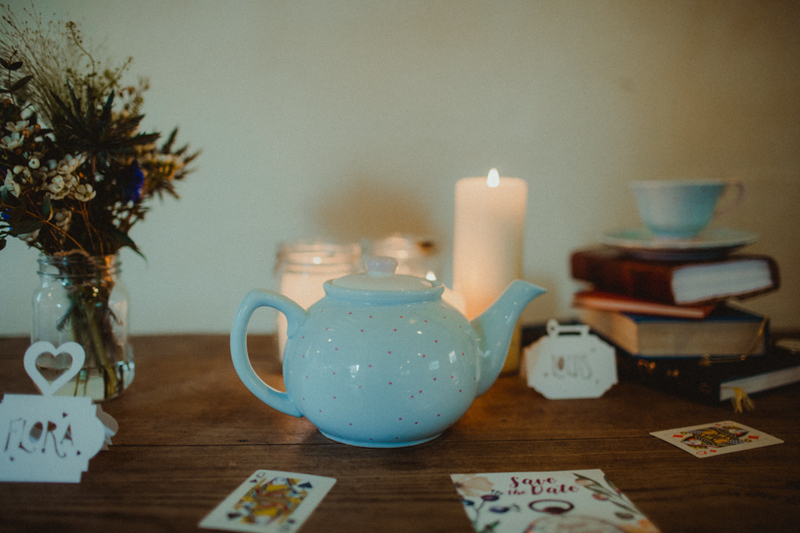 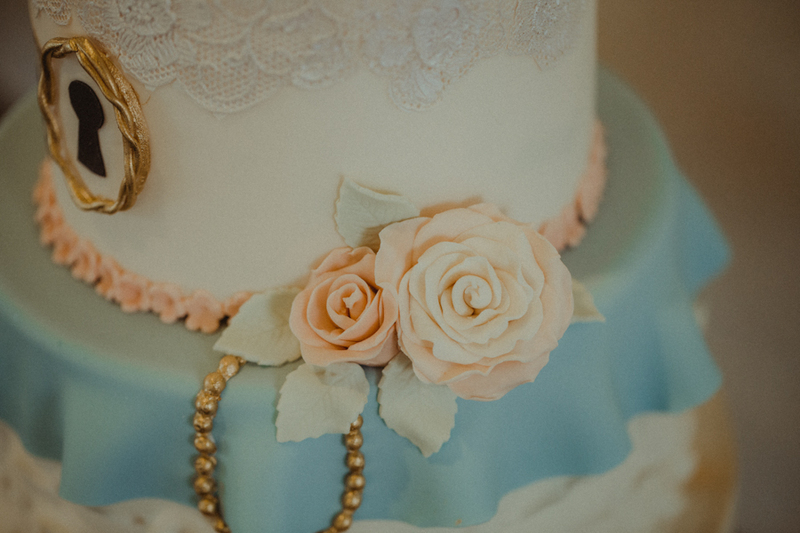 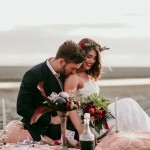 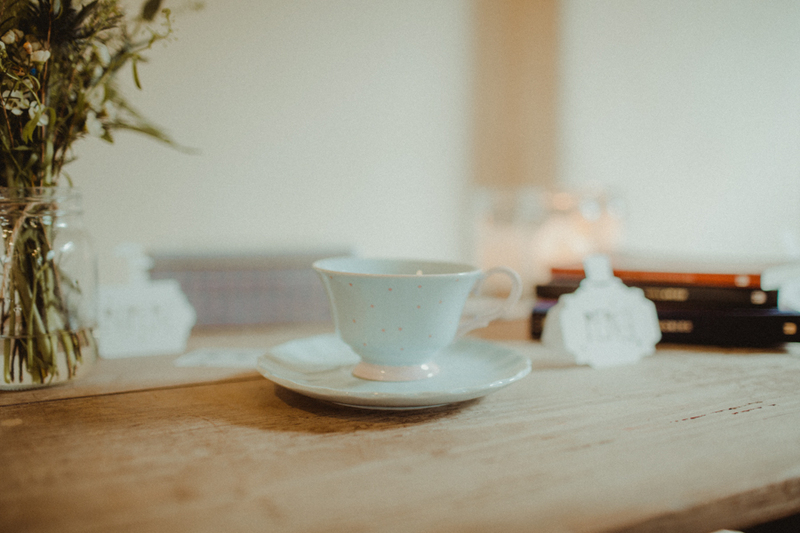 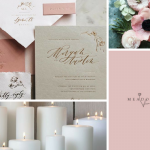 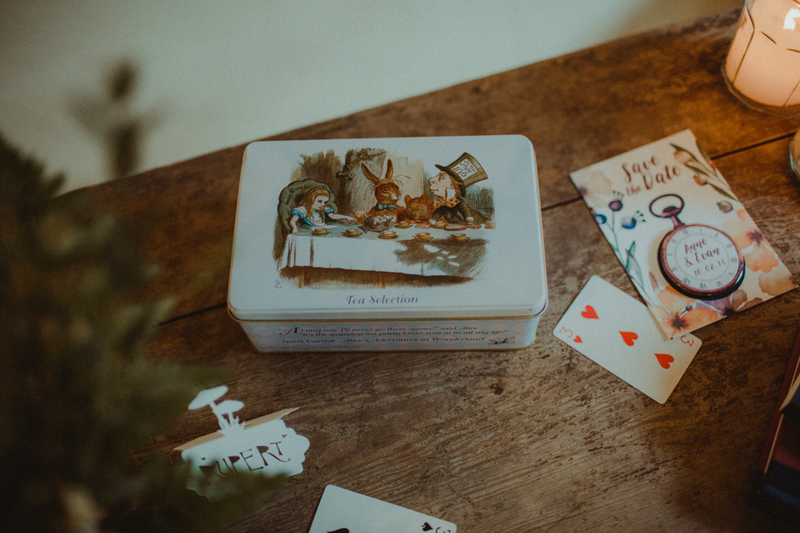 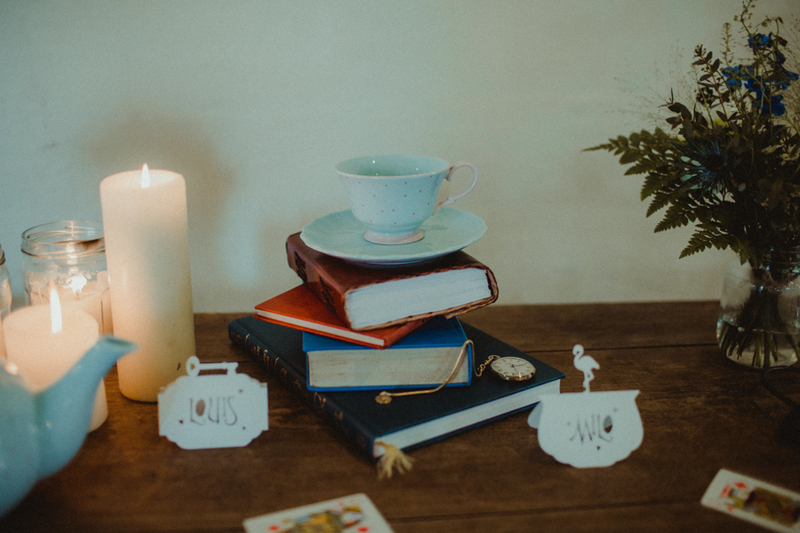 It can be full-on wacky Mad Hatters Tea Party-esq or subtle and pretty with sweet vintage detail, or, like today’s styled wedding shoot – whimsical and rustic! 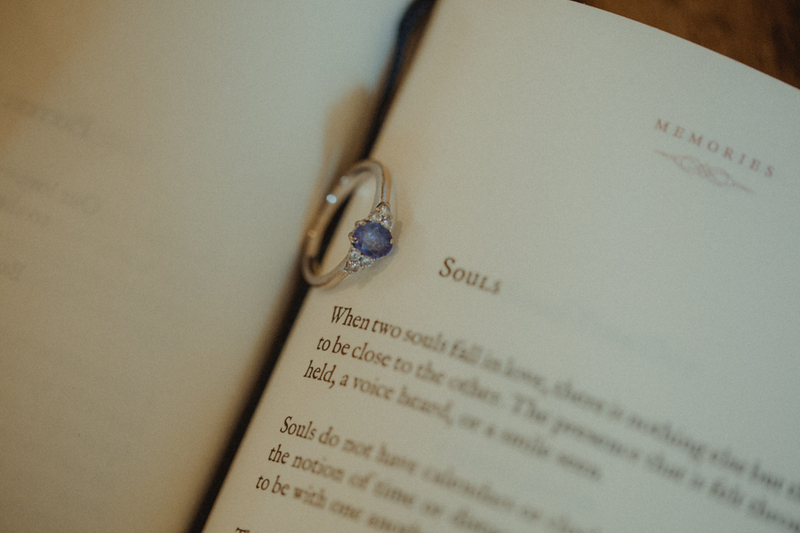 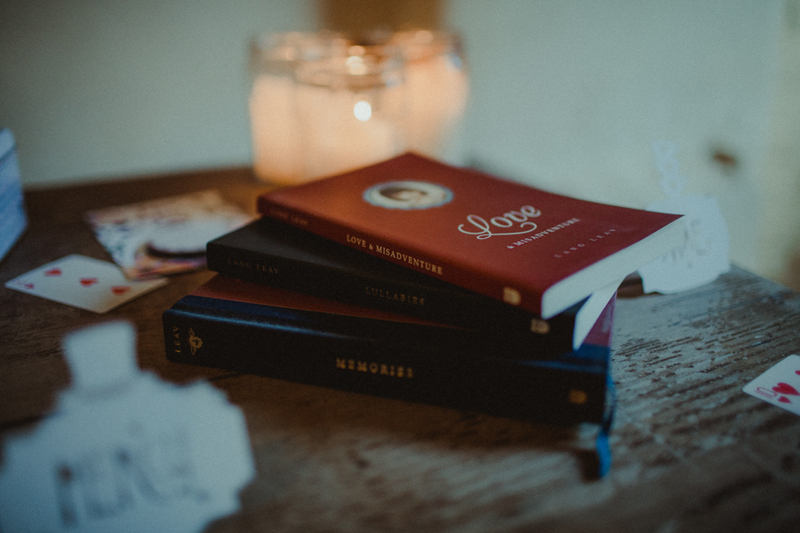 Words and images by Lisa Webb Photography. 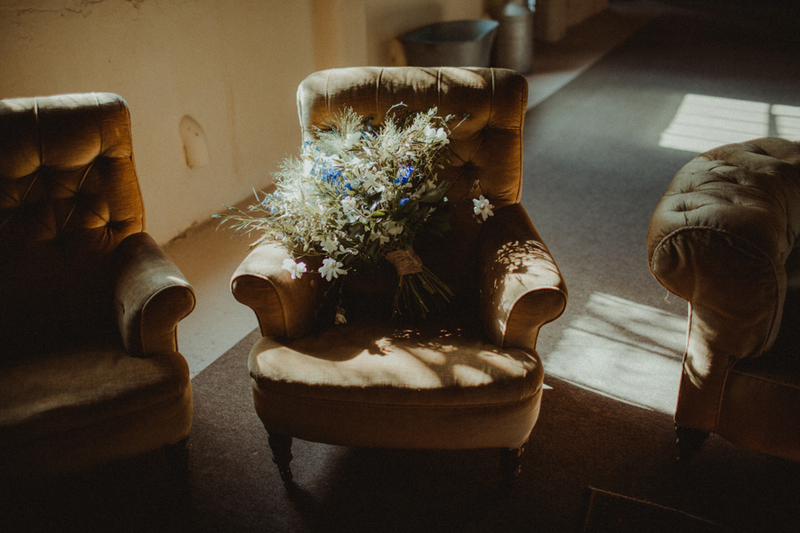 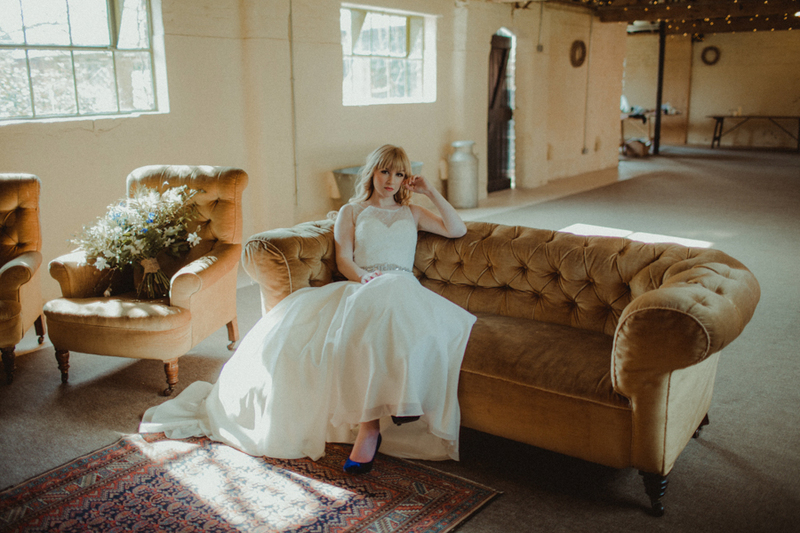 The Cowshed at Woodhall Farm is a gorgeous DIY wedding venue in the outskirts of Wolverhampton. 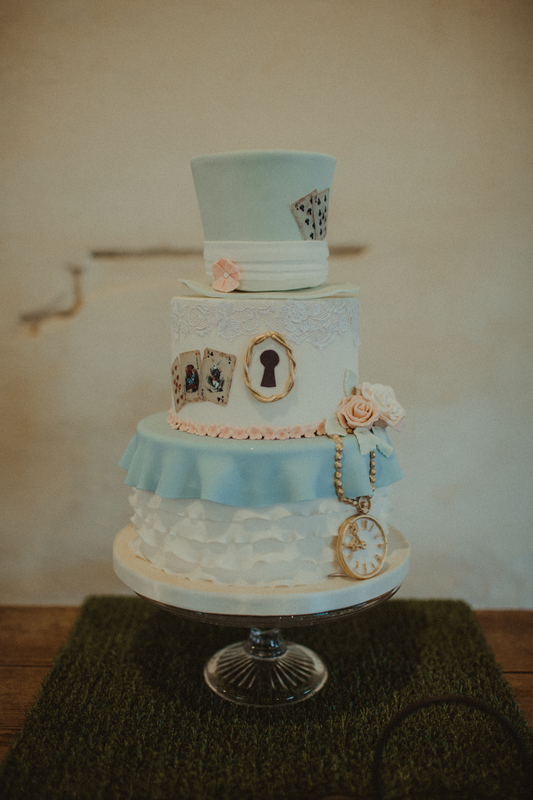 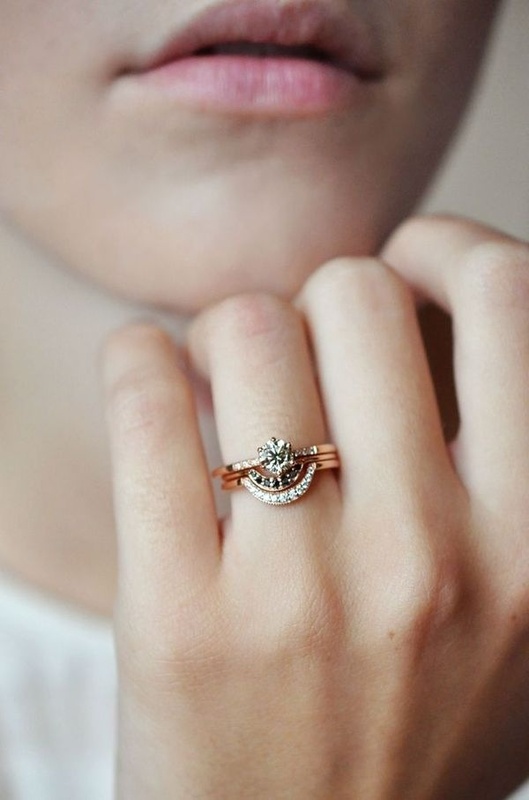 It was the perfect choice for an Alice in Wonderland inspired bridal shoot. 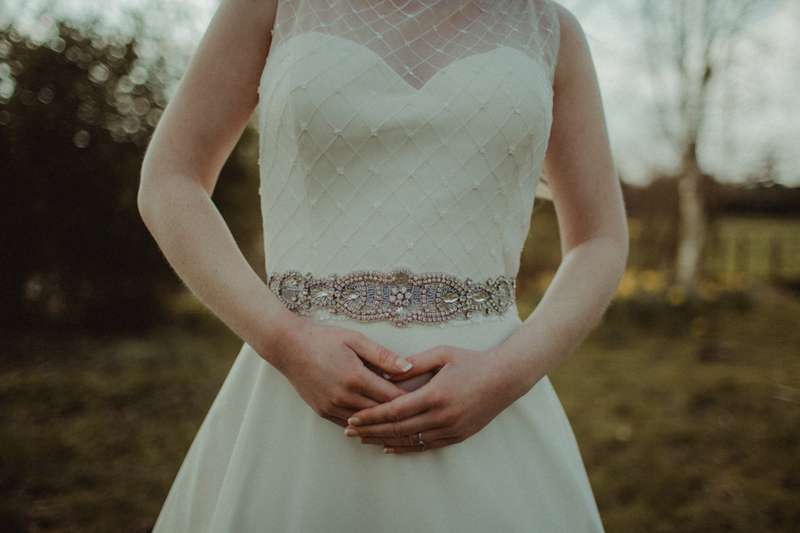 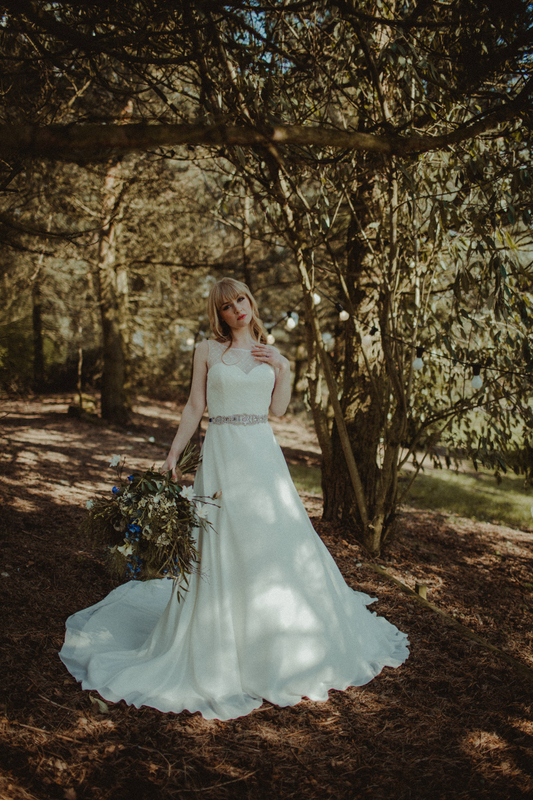 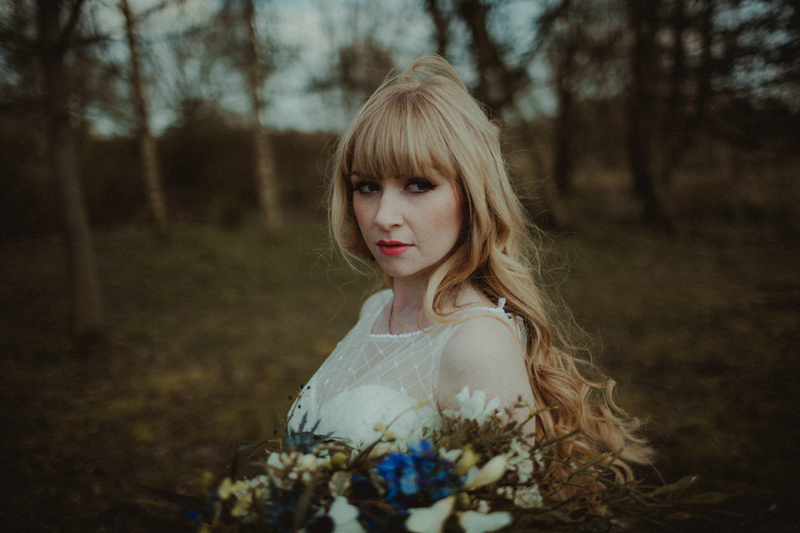 When deciding on the model’s fashion and accessories we decided we wanted the bride to have a fairytale feel, whilst also keeping it quite simple. 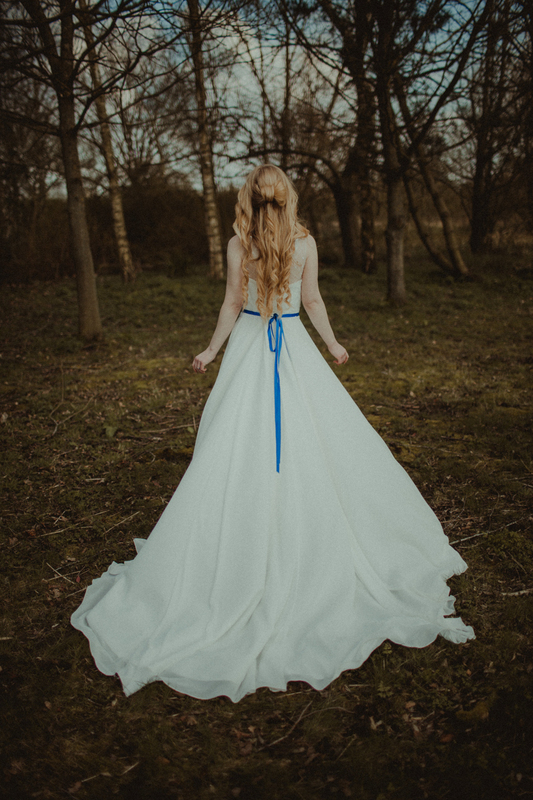 For the dress, we chose a beautiful full-length lightweight A-line chiffon gown by Opulence with an embellished belt with a blue ribbon. 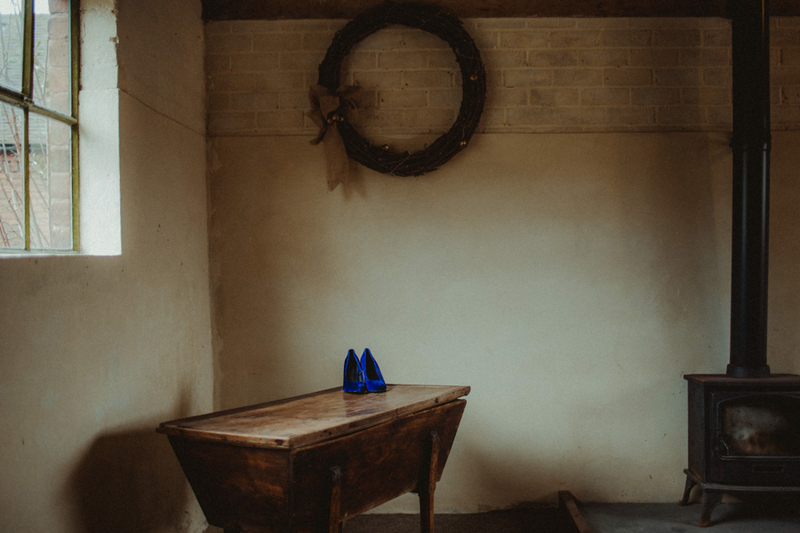 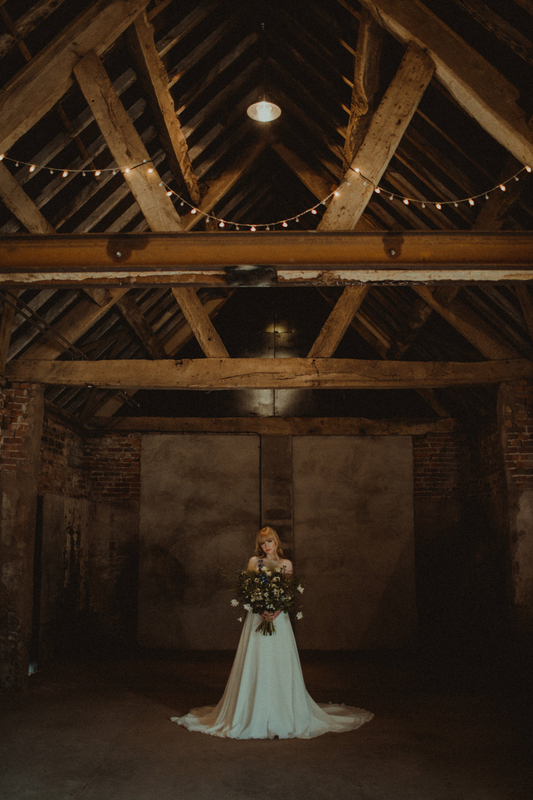 We chose The Cowshed as a venue because it’s so unique and has a real rustic vibe. 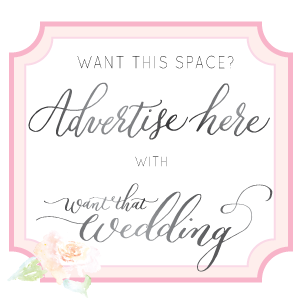 The Cowshed is quite a new venue, a lot of their advertising at the moment comes from word of mouth, so it’s a real hidden gem! 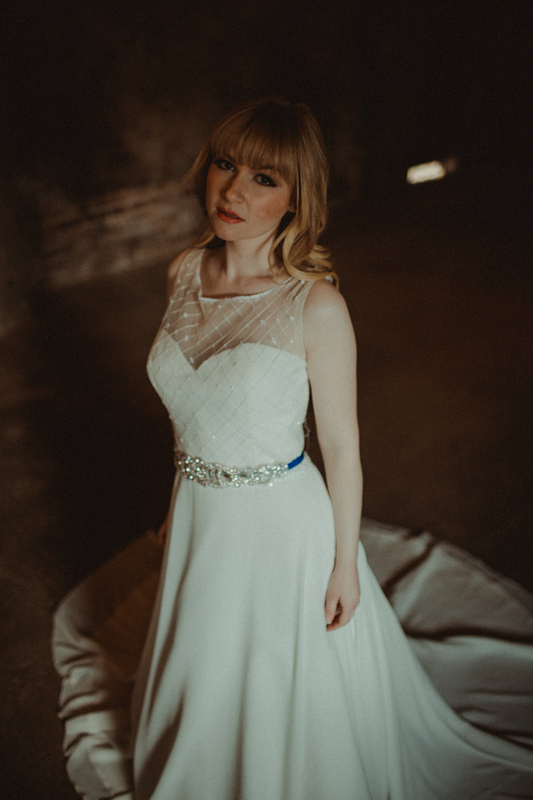 I was so thrilled when I came across it online and when I went to visit I knew it was perfect for our shoot. 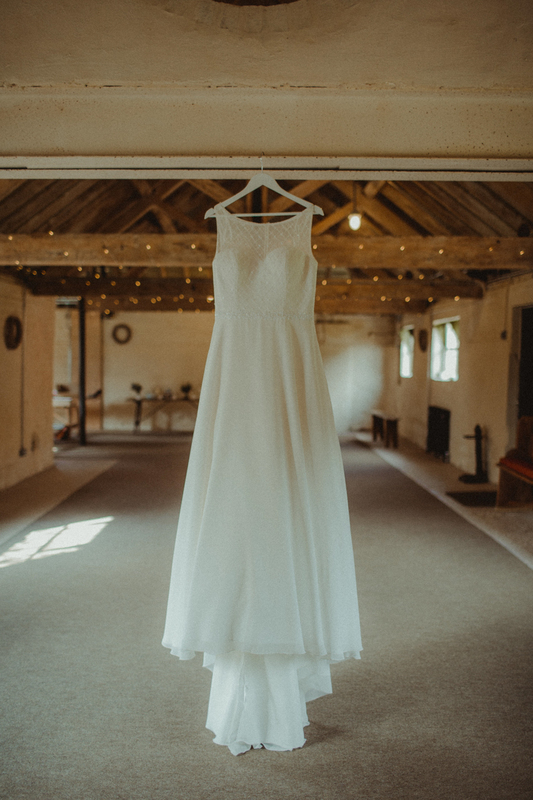 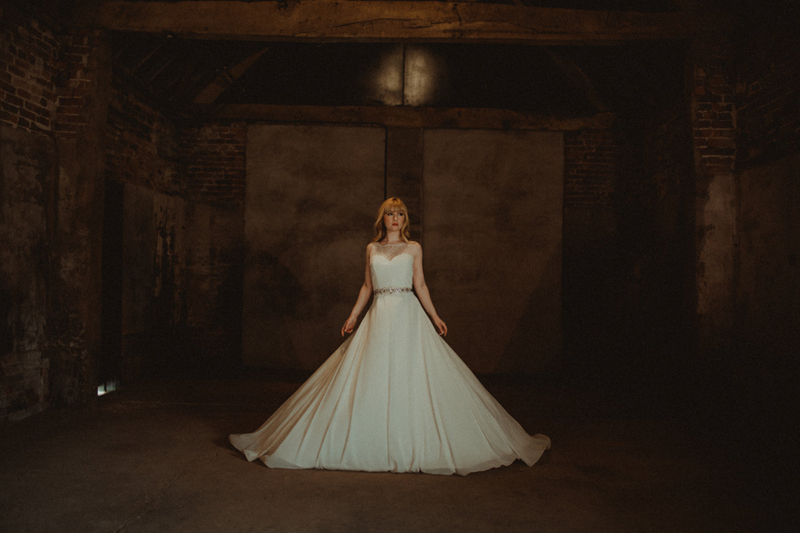 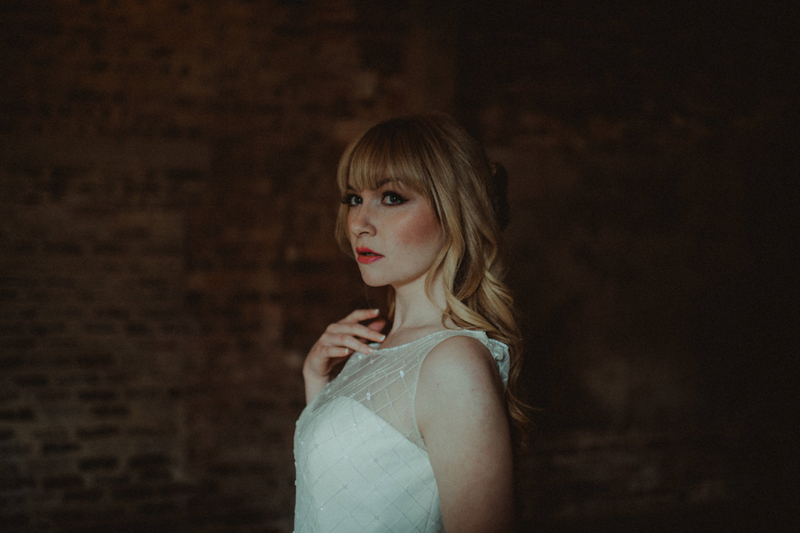 It has lots of beautiful areas that are perfect for portraits, my personal favourite was inside the barn in the area that’s used for the dance floor. 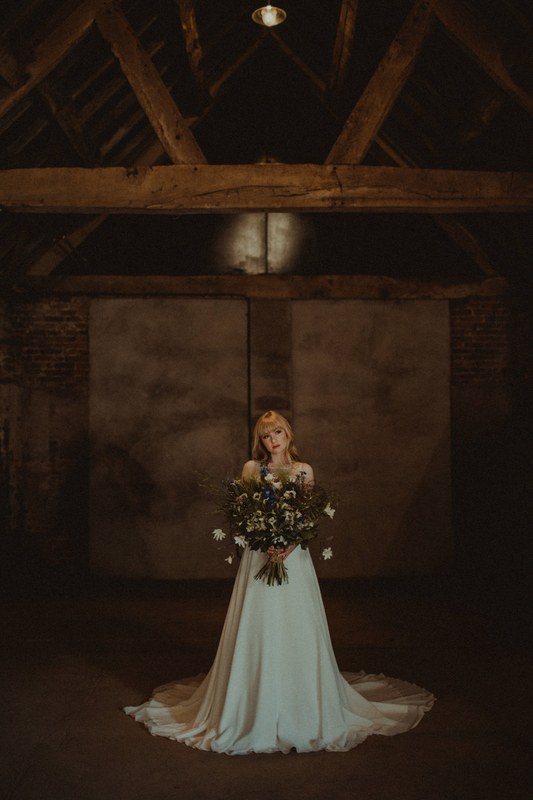 It is quite dark, however, has gorgeous pools of light from the window and also from the roof lighting, this makes for some gorgeous photographs. 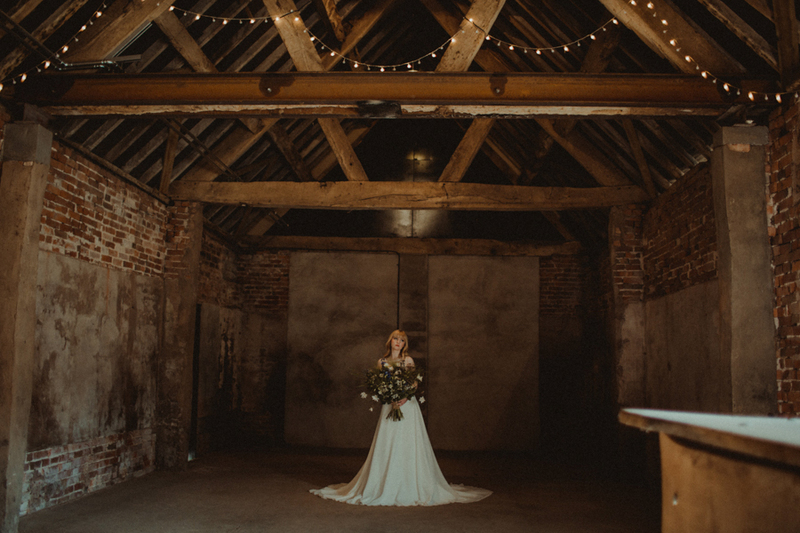 Another of my favourite areas was a small walkway that leads down to the barn which the bride can use to walk to the ceremony. 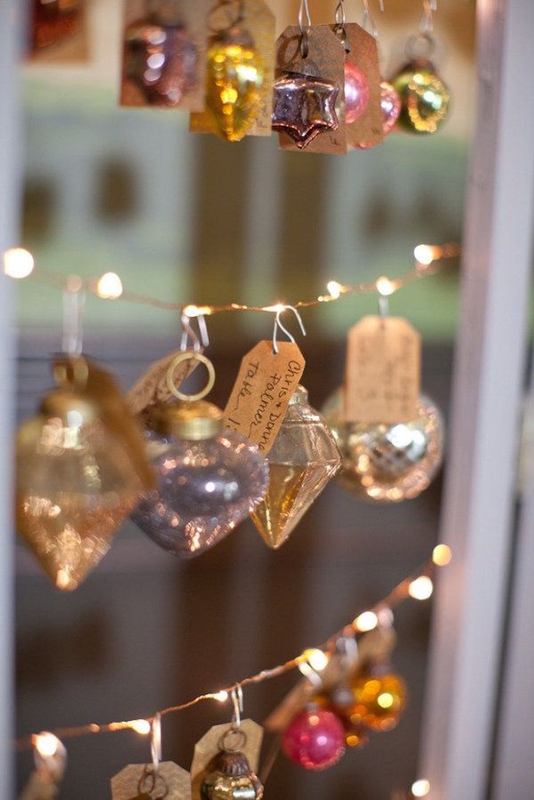 It had beautiful festoon lights leading down the woodland path! 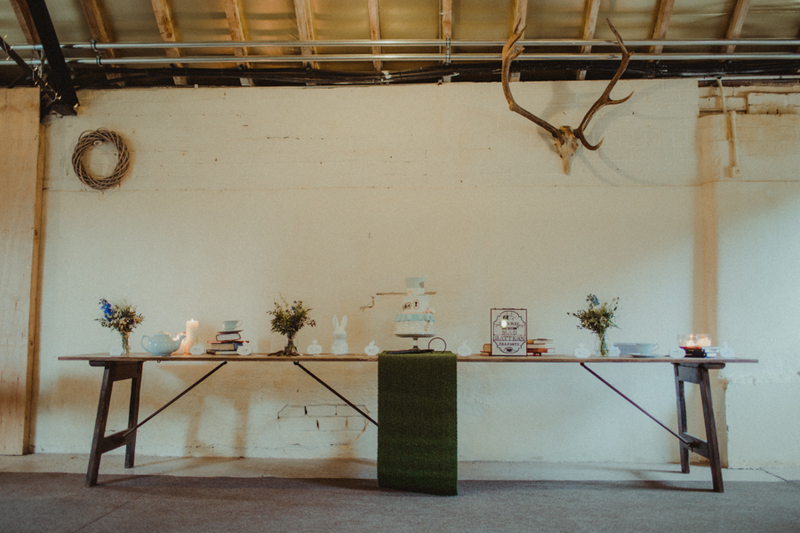 The decor and table details were again following the Alice in Wonderland theme. 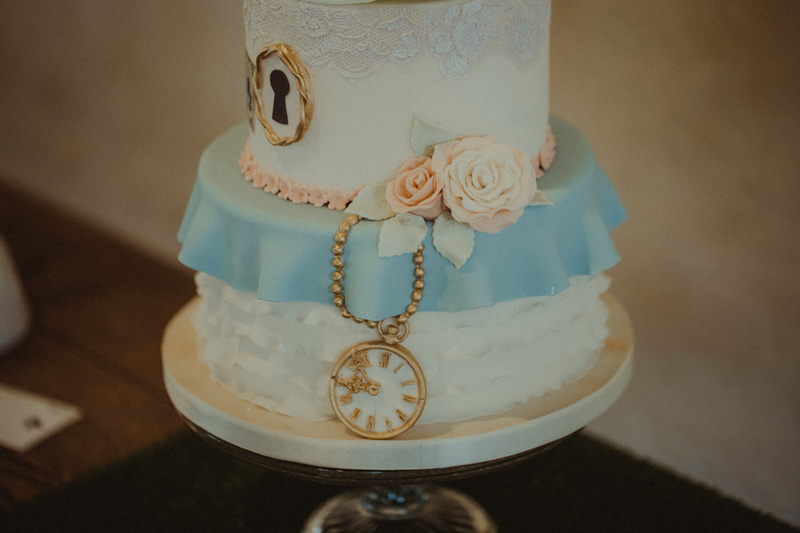 The cake was three-tiered, with the top tier being a top hat, we had this at the centre of our table, placed on a glass cake stand and a faux grass table runner. 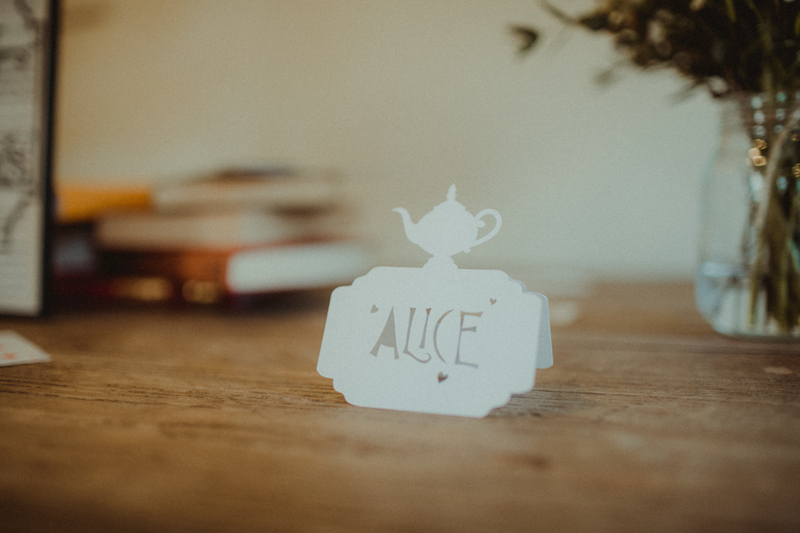 We included place names and a ‘this way to the mad hatter’s tea party’ paper cuttings by Lisa Jay Studio, pocket watch save the dates, playing cards, a pocket watch, old books, keys, a white rabbit head, and of course no Alice in Wonderland shoot would be complete without a teapot and teacups. 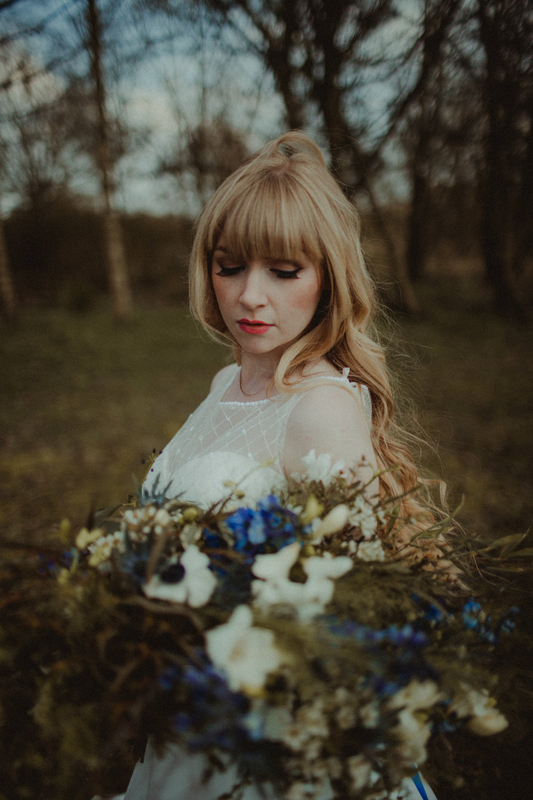 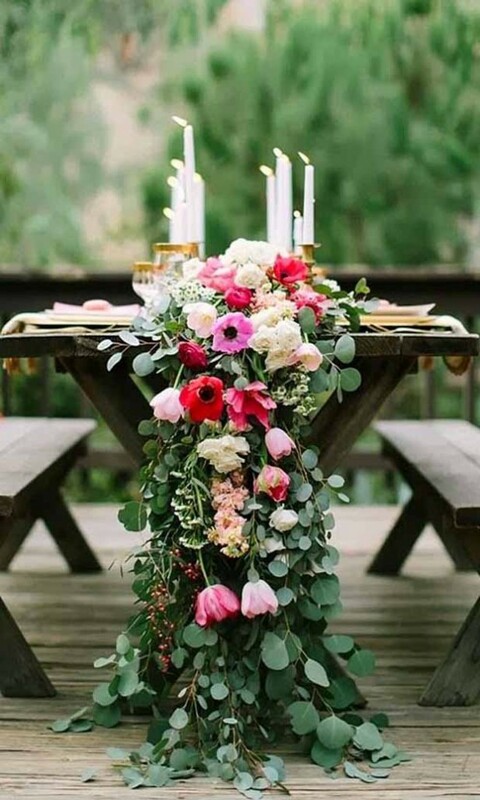 We chose Ginger Lily as our florist because I love how wild and big her floral creations are. 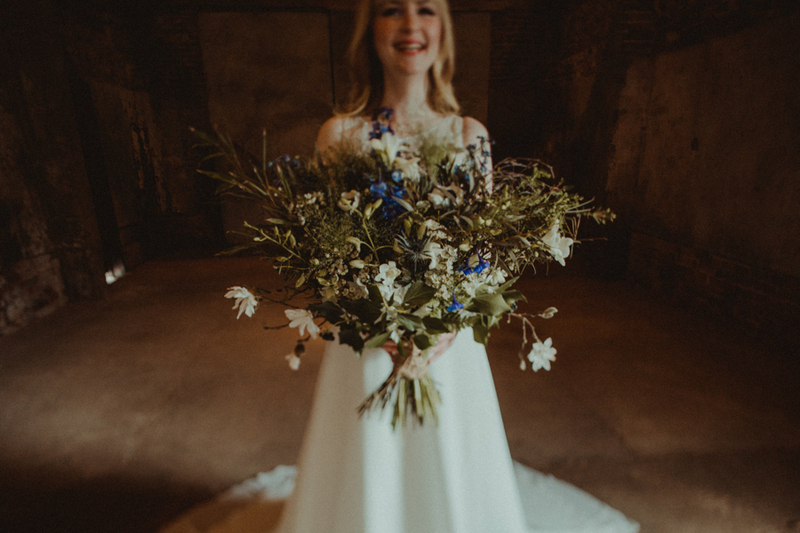 She incorporated some blue flowers into the bouquet and table flowers to again keep the Alice and Wonderland theme running through the shoot. 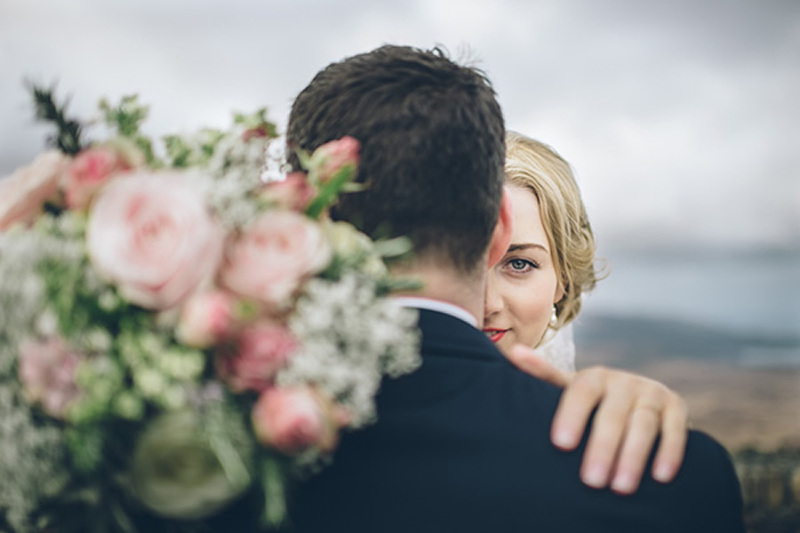 The bouquet was perfect, it was large and wild, without being over the top. 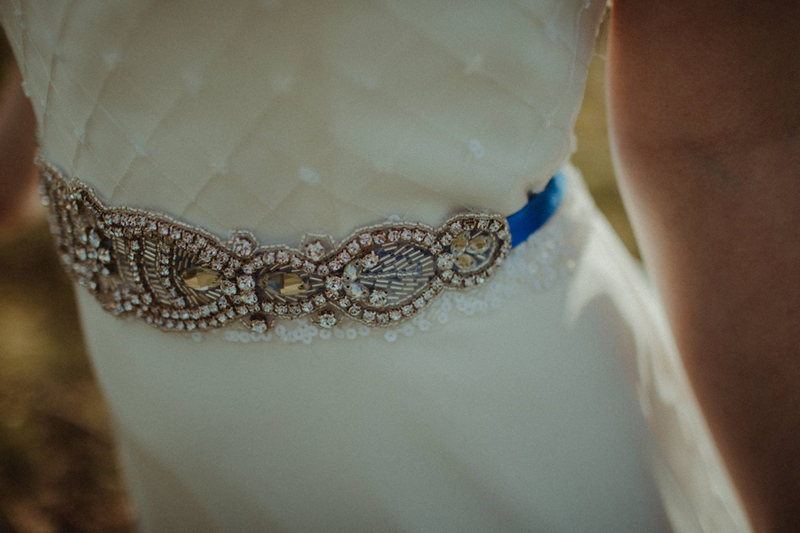 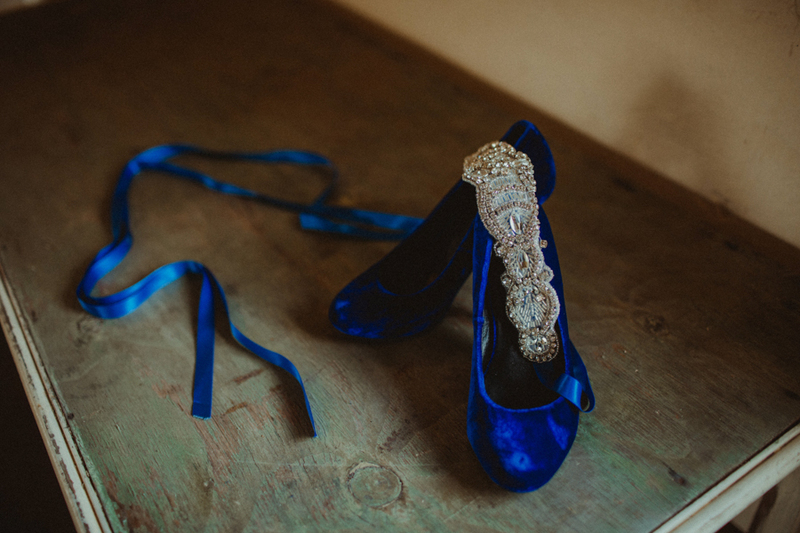 We felt that the blue ribbon sash around the bridal gown was in keeping with the Alice and Wonderland theme. 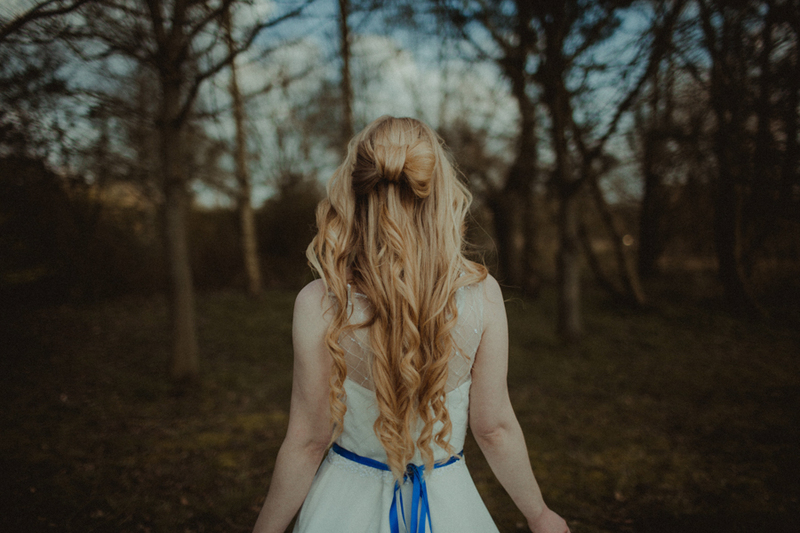 For her hair we decided to go for a bow made out of the models own hair, while keeping the rest of the hair down and curled. 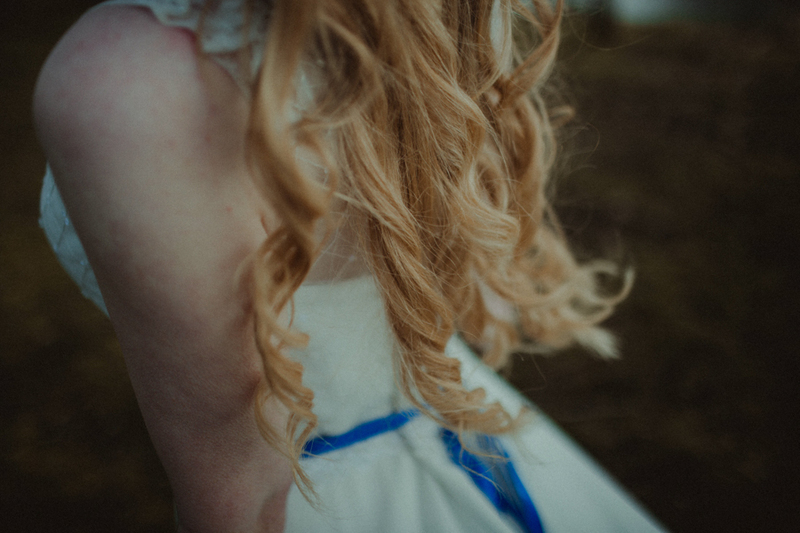 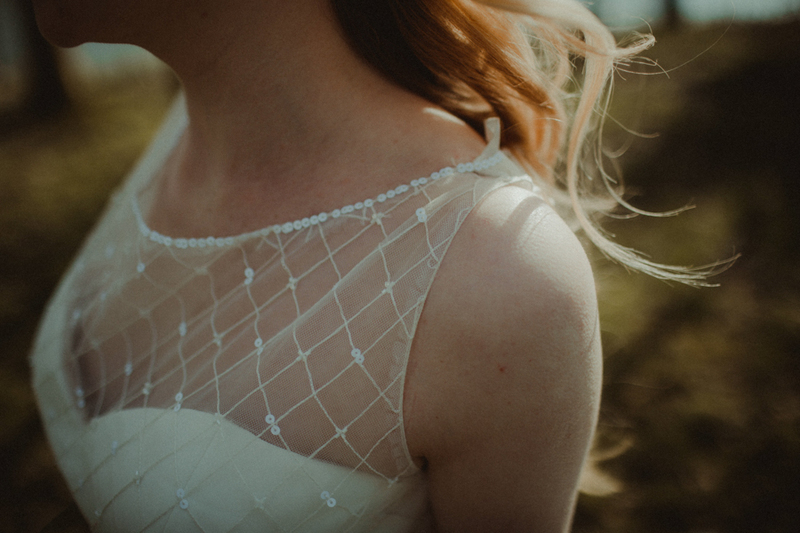 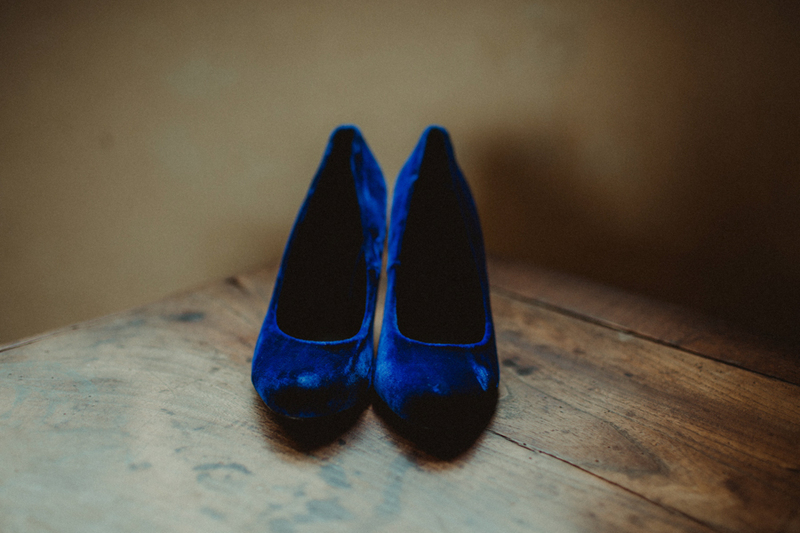 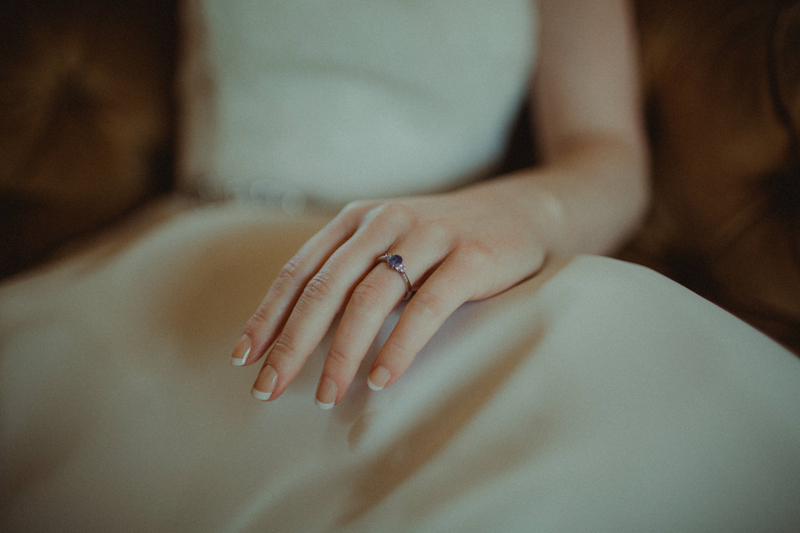 This isn’t something you see very often on a bride at a wedding, it’s used more often for flower girls, however, we believed it suited the style of the shoot perfectly. 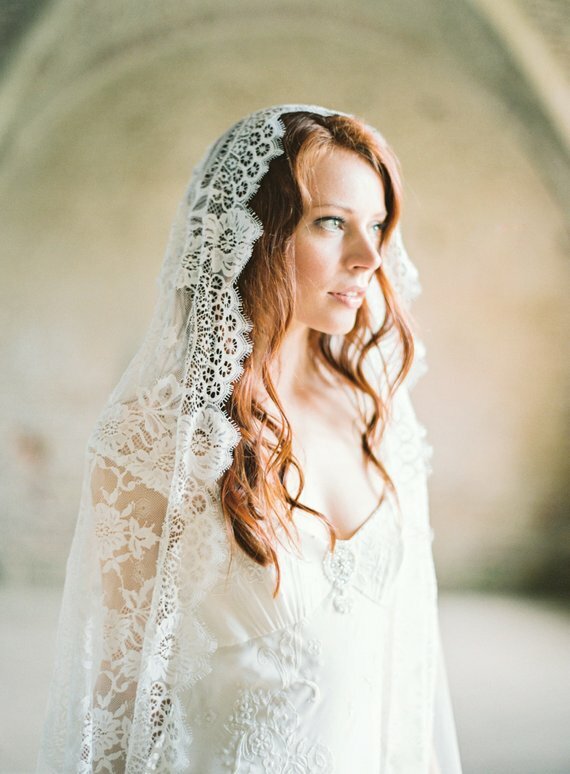 When photographing this shoot I constantly kept in mind the rustic, whimsical, fairytale theme we were going for. 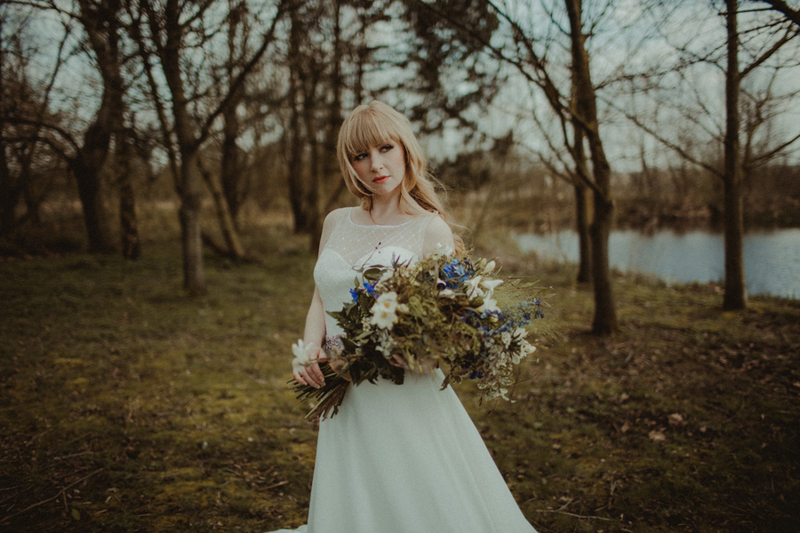 I strive to capture beautiful and relaxed images so always endeavour to have fun during shoots, including styled shoots! 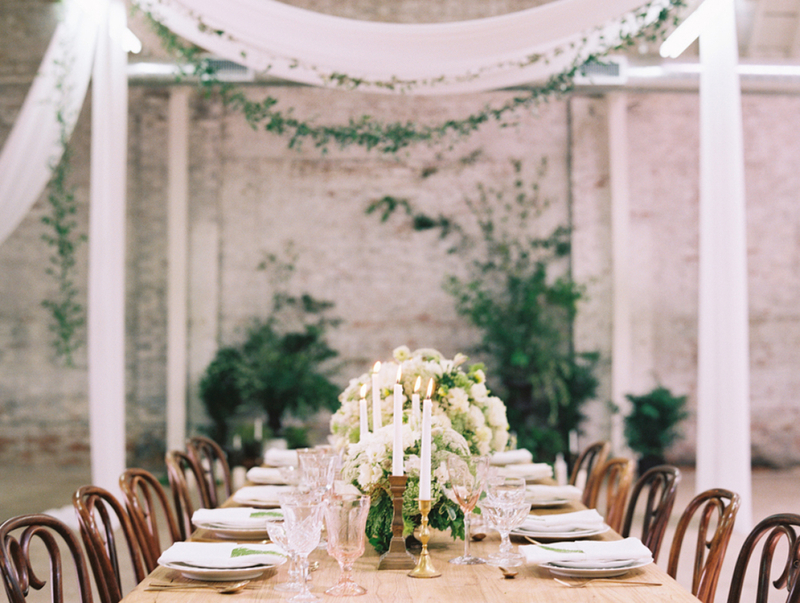 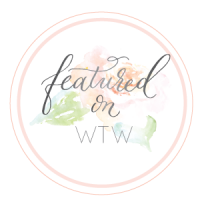 Thanks to the wonderful team of wedding suppliers – credits can be found below.